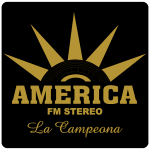 America Estereo Radio is live broadcasting from Ecuador. America Estereo Radio broadcast various kind of culture, local music, news. This is a particular radio station which is Spanish music based also at the same time the radio also broadcasts popular local music and talk shows. Among their talk show based programs local topics gets the high priority. America Estereo Radio one of the most famous online radio station on Ecuador.